Home / Field Geeks / Baseball / MLB / NLW / Arizona Diamondbacks / Can Arizona Win With Tony LaRussa? Can Arizona Win With Tony LaRussa? Tony LaRussa has been a part of Major League Baseball since 1963. He spent parts of 5 seasons as a player for the Kansas City Royals, Oakland Athletics, Atlanta Braves, and Chicago Cubs. After blowing out his shoulder in the 64-65 season, he spent the rest of his playing career in the minor leagues until retiring in 1977. But Tony LaRussa as a player is not how we know him. We know TLR as a masterful manager, guiding the teams under his control to 3 World Series titles, 6 league championships, and 12 division titles in his 33 years as a manager for the Chicago White Sox, Oakland Athletics, and the St Louis Cardinals. His 2,728 wins as a manger ranks him third all time in major league history behind Connie Mack (3,731) and John McGraw (2,763). So, in 2011, it came as a shock to many fans that LaRussa decided to call it a career, and walk off into the sunset a winner, after leading the St Louis Cardinals to their second World Series title under his management. But like many former players and managers, the “itch” to be around the game didn’t disappear for TLR and he accepted a position 3 months later assisting Joe Torre as the executive president for MLB operations. 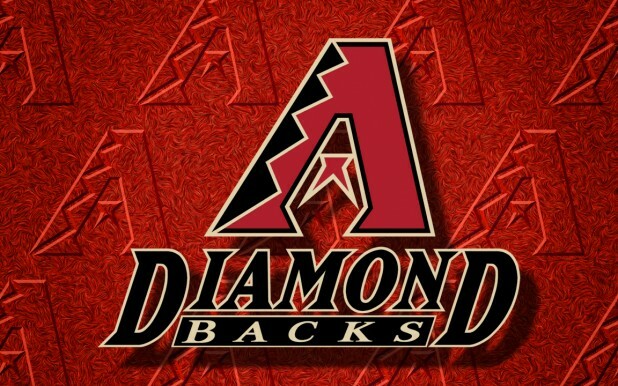 After winning 94 games in 2011 and losing in the LDS to the Milwaukee Brewers, The Arizona Diamondbacks felt they were on the right track to many future years of success. However, back to back seasons of finishing at .500 on the year with a record of 81-81 soured that thought of success, and 2014 was looking no different. Looking to bolster their front office, and attempting to recapture lightening in a bottle, the Diamondbacks hired La Russa as their chief baseball officer, hoping the Hall of Fame manager can help turn around the team after one of the worst starts in franchise history, 16-28 at that point. The Diamondbacks then proceeded to go 32-35 over their next 67 games, showing promise of turning around a season in disarray. Next, the team learned that All Star first baseman and 2013 NL MVP runner up Paul Goldschmidt had suffered a broken hand after being hit by a pitch, landing him on the disabled list for the remainder of the season. The injury to Goldschmidt was felt the most by a team already in the midst of a season defined by injuries up and down the roster. The team proceeded to finish out the season 16-35 with a final record of 64-98, good for second worst in franchise history. Tony LaRussa was a genius in the dugout. Although many didn’t agree with his managerial style, nonetheless, it produced results year in and year out. But the question now looms, can the “managerial master” translate his skills to the front office and help the D-Backs win now? It’s going to take time, and won’t be an overnight success, but having the wealth of knowledge, experience, and success that is TLR, should prove at some point to turn around the fortunes of the Diamondbacks and put them back on track to winning ways. The entire organization is obviously frustrated with the results on the field and are looking to improve. So bringing LaRussa on staff to oversee the future of baseball operations and decision making seems like a wise choice by the club. “I don’t think that you give in on the potential that sooner rather than later we could be contenders,” LaRussa was quoted as saying in November during the general managers’ meetings. “Because if you’ve got a good talent pool and they play tough and they play well, you win extra games. We have a nice young, nucleus so there’s a lot to build on here. We’ve got some quality veterans.” But what have the Diamondbacks done since GM meetings? They have made moves, but not ones you would expect a team to make that wants to win now. The D-Backs have traded Wade Miley to Boston, stud catcher Miguel Montero to the Cubs, up and coming young SS Didi Gregorius to the Yankees. And in return, the team has received a handful of relative unknowns and hit or miss prospects with the bigger names being Rubby De La Rosa, Jeremy Hellickson, and Robbie Ray. Arizona has made one splash move however, by signing star Cuban 3b Yasmani Tomas, who projects to be a player of the caliber of Justin Upton or maybe Yoenis Cespedes. Only time will tell if the hype for Tomas was worth the fuss. So, with a core nucleus still built around a healthy Paul Goldschmidt, what does Tony LaRussa have to work with? Well, from left to right, the outfield projects to be David Peralta, AJ Pollock, and Mark Trumbo. The infield around the horn looks to be Tomas, Chris Owings, Aaron Hill, and Goldschmidt. At the moment, an unknown Tuffy Gosewisch looks to fill the shoes of the newly departed Montero. Not a lineup that exactly strikes fear into the hearts of opposing pitchers. The starting rotation for the D-Backs is still obviously in question and Spring Training will bring it more into focus, but with Bronson Arroyo on the disabled list for the first time in his career until probably July with Tommy John surgery, and mainstay Wade Miley being traded, the starters in my opinion will probably finalize to be Josh Collmenter, Rubby De La Rosa, Trevor Cahill, Chase Anderson, and the 5th starter could be Hellickson, Vidal Nuno, Dan Hudson, or youngster Allen Webster. If Patrick Corbin is ready to go after undergoing Tommy John in March of last year, he will look to get into the starting mix as well. After all is said and done, none of those candidates scream staff ace to me with the exception of the promising Anderson. LaRussa doesn’t want to set the bar too high for his club in 2015, but he also thinks that his team can turn a 98 loss season around and finish with a winning record this year. He doesn’t want to jeopardize the teams future to win now, but also doesn’t sound eager to wait for them to slowly improve. That’s not the TLR way of doing things. I agree that four or five years would be a stretch and by then, they should be back in their winning ways and contending for a playoff spot. However, to expect the team to completely turn it around with a revamped roster, new manager, and new front office personnel in one year doesn’t seem feasible to me either. If I were a general manager and were saddled with this team as well, I would be looking at 2015 as a rebuild and expect things to get better in 2016 or 2017. But then again, I’m not Tony LaRussa, the “Master of Managing”…so who am I to talk? Let’s see what kind of team TLR puts on the field. Because once the season begins, it’s anyone’s game. God, family, and sports...in that order. Spent 6 years in the Navy and relocated to St Louis from Florida in 2003 and have been hooked on Cardinal baseball ever since. Will drop anything to talk sports with anyone at anytime. So let's strike up a conversation.